A Design Trimmed To Perfection! Luke Richards approached me with a blank canvas for his new website. 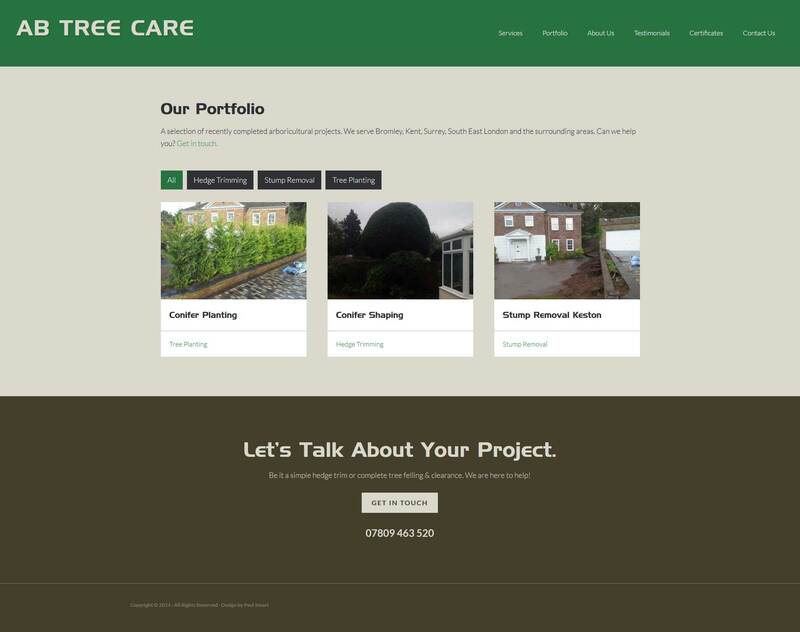 His criteria was simple; I am a local business with a reputation built on customer service and I need a clean design that showcases our services, portfolio & customer testimonials, it must be mobile responsive and easy for us to add our content and keep up to date. The result is this clean, modern design with a homepage clearly divided to showcase the key elements of the business to its visitors. The WooThemes Testimonials plugin and a custom filterable portfolio were also included within the project for their ease of use in the backend. 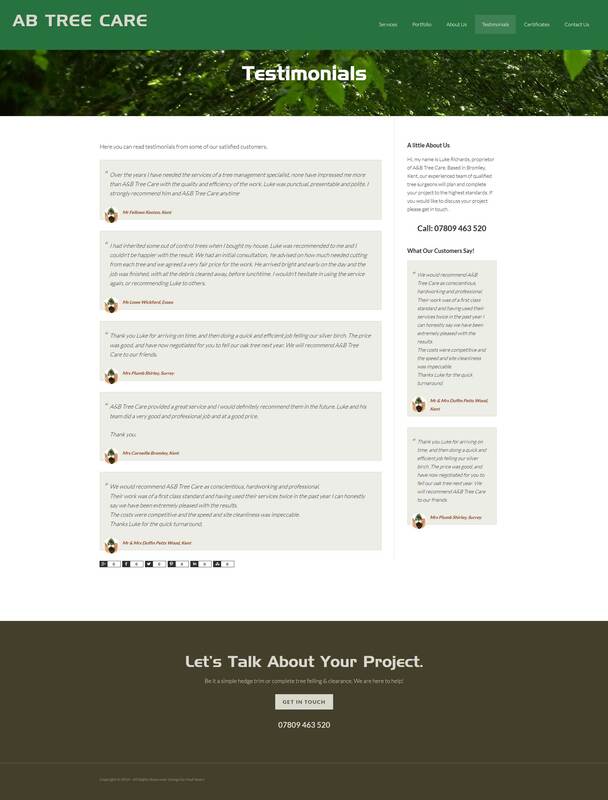 This Testimonials pages uses the WooThemes Testimonials Plugin styled to match our design.